'Tis the season for gourmet popsicles, and the latest contender is going straight for the Oreo junkies. 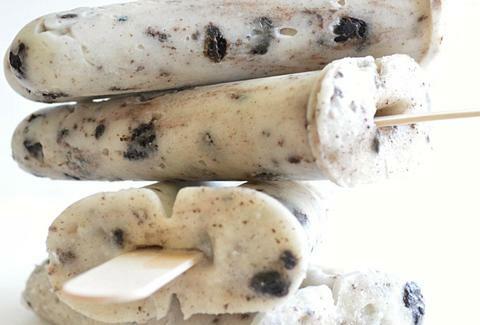 House of Yumm's Cookies & Cream Pudding Pops recipe freezes a mix of white chocolate pudding, milk, and Oreos onto a stick, the preferred vessel for all things good in this world. Get the idiot-proof guide to making them on her site. Pro tip: They're best consumed in an extremely festive sweater. Kristin Hunt is a food/drink staff writer for Thrillist, and now requires a Hershey's Cookies & Cream bar. Follow her at @kristin_hunt.